FRANKFURT (DE) - The countdown is on: from 15 to 19 June 2015 the doors will open on ACHEMA 2015. Over 3,100 exhibitors have already registered but, as in 2012, the organisers anticipate around 3,800. Moreover, the congress programme is shortly to be released. Already a clear trend is emerging: besides the three focal themes BiobasedWorld, Innovative Process Analytical Technology (PAT) and Industrial Water Management, the hot topics of the world forum of the process industry are energy efficiency, materials and materials testing, and safety technology. The number of papers submitted for the congress in these areas is gratifyingly high. In terms of exhibition groups, first and foremost there has been the traditionally keen interest in Instrumentation, Control and Automation Techniques, Mechanical Processes, Laboratory and Analytical Techniques, while to meet the unprecedented demand, additional space has already had to be mobilised for Pharmaceutical, Packaging and Storage Techniques. Thus, ACHEMA reflects the overall trends in its core sectors like machinery and plant engineering and the chemical industry which, despite a turbulent international business environment, are proving to be surprisingly resilient. Particularly on an international level, these sectors are hard-wired for growth: The shale gas bonanza in the USA and the unwaning industrial growth of India and China are reflected in the number of exhibitors. On the other hand, many exhibitors from European countries like Spain and Great Britain are set to benefit from the opportunity to present themselves to an international audience. The decision not to reserve a separate exhibition area for the three focal themes BiobasedWorld, Process Analytical Technology (PATand Industrial Water Management was deliberate. “What distinguishes focal themes is that they impact and shake up the process industry as a whole”, explains Dr. Thomas Scheuring, CEO of DECHEMA Ausstellungs-GmbH. “The development of new technologies and solutions thrives on the interplay of different sectors and disciplines.” Consequently, the exhibitors involved in these themes can be found in very diverse areas. This holds for industrial water management and similarly for PAT which encompasses not only suppliers of laboratory equipment but also of process control systems. BiobasedWorld is a striking example of the cross-sectoral nature of the focal themes: in the biobased economy the spectrum ranges from process development to sensors, from suppliers of stainless steel fermenters to processors of biobased packaging materials. For quick orientation, visitors interested in a particular focal topic will find themed publications with tours which will be available either in the ACHEMA app or as a print version in the run-up to ACHEMA. In addition, signs in the halls and on the hall plans will make light work of finding one’s way around. 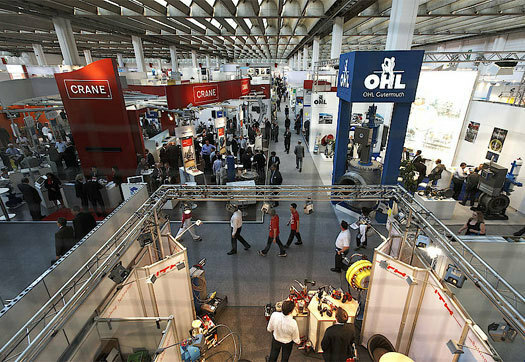 To promote the exchange of views between users and suppliers, the organisers have devised a range of new formats: the ACHEMA PRAXISforums, addressing topics such as Single-Use Technologies, Pharmaceutical Production, Components and Equipment, Mixing and Separation, Safety and Plant Control. New developments from practice will be introduced in mini-presentations in the direct vicinity of the exhibition halls concerned. This effectively shortens the distance between lecture areas and exhibition stands, enabling visitors with special interests to plan their visit to optimum advantage. The complete ACHEMA congress programme will be published in February. Compared with previous events, this time the programme has been drawn up with a view to streamlining it and avoiding scheduling thematically related sessions in parallel. Participants will be struck by the large number of guest and partner events. 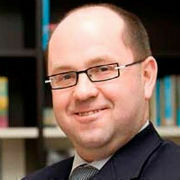 “Numerous requests from major national and international partners are a clear indication of ACHEMA’s reputation worldwide as a forum for researchers, developers and users”, comments Prof. Kurt Wagemann, Executive Director of DECHEMA e.V., the congress organiser. And last but not least, on four of the five days of the event there will be a panel discussion or plenary lecture on key themes like the implications of the shale-gas boom for the bioeconomy, future trends in chemical production, the impact of the energy turnaround, and developments in industrial water use. Regularly updated information available at www.achema.de.